Free Solo, a documentary about Alex Honnold’s free solo climb of El Capitan, is getting great reviews. You should probably go see it! 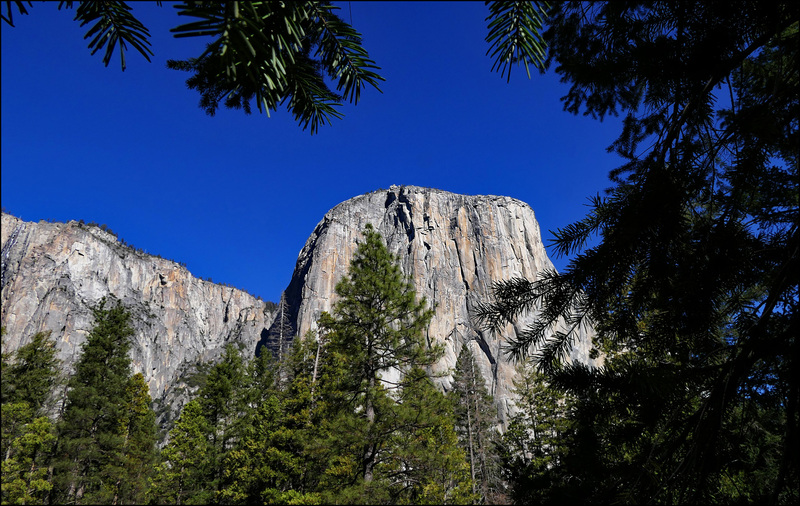 To get you in the spirit, here’s a picture of El Capitan taken during our trip to Yosemite earlier this year. Honnold’s climb started at the Valley floor and ended at the block of shadow slightly to the left of center in this picture (the “Freerider” route). This is close to the end of the road: I’ve only got a couple of Yosemite pictures still left in the queue. But one of them is really good, so you still have something to look forward to.